Here's a quick tutorial using colors that I don't normally wear at all, both as clothing and cosmetics. 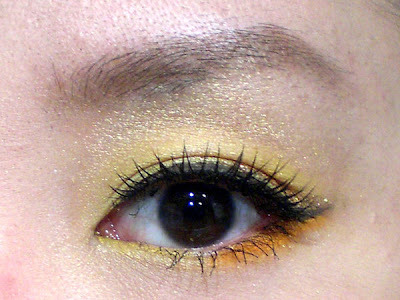 This is a fun and juicy look that is perfect for summer parties! 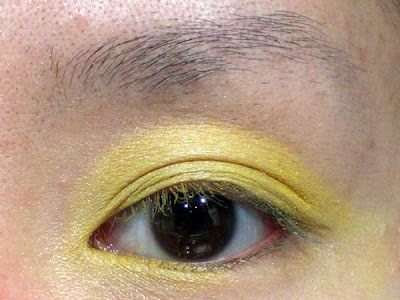 Apply the yellow eyeshadow all over your eyelid up to the hollow of your browbone, as well as the inner half of your lower lash line. 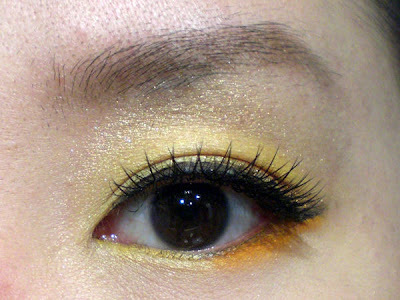 Put the orange eyeshadow on the outer half of your lower lashline, and slightly wing it out at the outer corner. 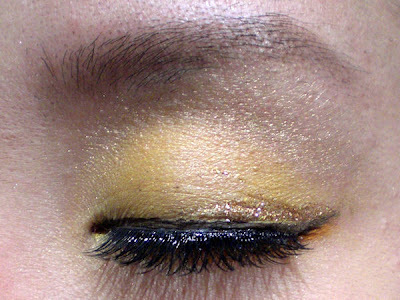 Take the light gold eyeshadow and apply it below your browbone, blending it with the yellow to soften any harsh lines. 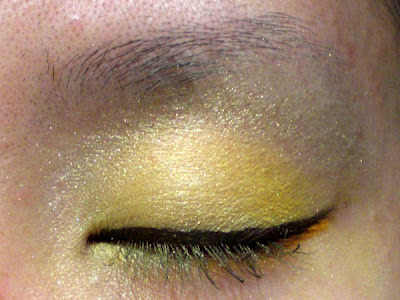 Put the gold eyeshadow in the inner V of your eyes as well, overlapping the yellow a little bit. 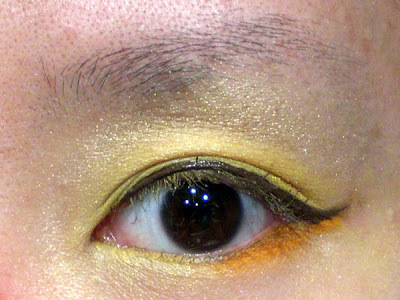 Apply brown eyeliner along your upper lashline, flicking it out at the outer corner parallel to your orange shadow's flick. 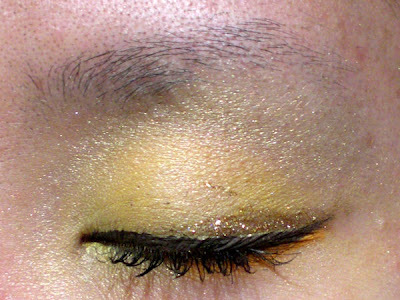 Put the gold glitter eyeliner on the outer half of your upper lashline, above the brown eyeliner and stopping just below your crease. If you are single-lidded, apply the gold in about the same thickness as your brown. Curl your eyelashes and put on some mascara as well. 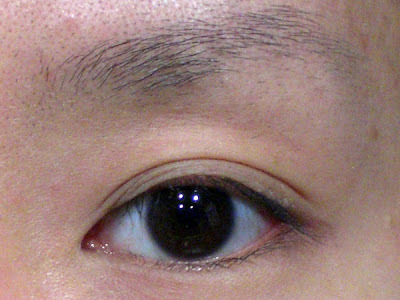 Fill in your eyebrows and put on your false eyelashes. 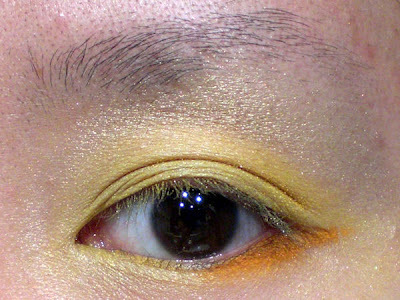 Finally, put on some mascara on your lower lashes if you like. I leave this step to the last to minimize mascara meltdown. 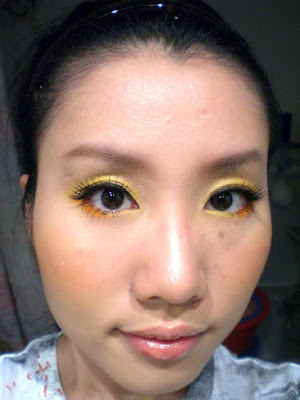 I applied the peachy-orange blush to the apple of my cheeks and blended upwards towards my temple a bit, and put on the gold lipgloss last. awesome tutorial. its a very pretty color too. It's really cool! So shiny and sunny! I love it! pretty blends! you're very talented in pulling off some creative makeup looks! oh finally! 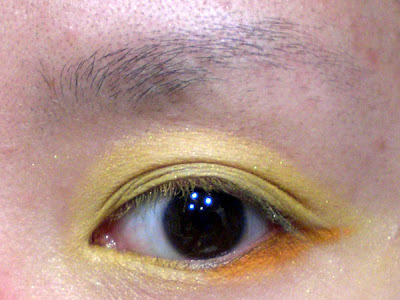 been a fan of the orange/yellow shadows but don't know how to wear (afraid it blend with asian skin)! mm will try this and maybe mod a bit for daily wear :) thankies! love it! will do slight mod of it so i can wear for daily, but love ittt! 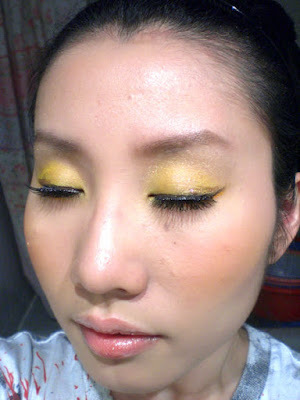 i'm always afraid to wear yellow/orange because of skintone..thankies!